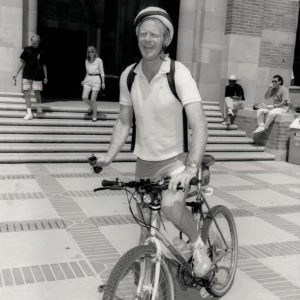 Ed Begley Jr rides a bike. 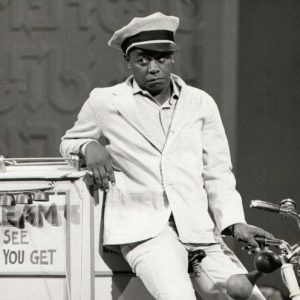 Flip Wilson rides an ice cream trike. 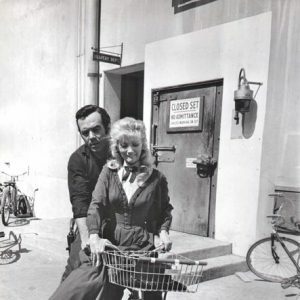 Pernell Roberts and Kathie Browne ride a bike.